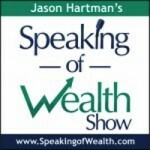 Listen as Jason Hartman of the Speaking of Wealth interviews Shelby Larson, the founder and co-owner of Content Divas, LLC. Shelby started Content Divas back in 2007 initially to offer stay-home moms a way to make legitimate income from home. Her business has expanded from a small team of content providers, to a staff of over 300 members world-wide. It provides the highest quality content outsourcing and search engine optimization services. 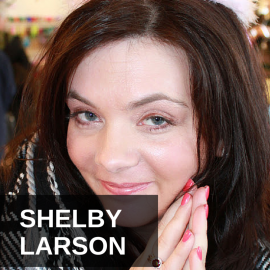 Jason grills Shelby on many aspects of content marketing and SEO, and Shelby delivers some really insightful answers! To listen to the podcast or to learn more about content marketing and SEO services please contact Shelby and her team at the links below. Jason Hartman: It’s my pleasure to welcome Shelby Larson to the show. She is the founder of Content Divas. And she co-founded the company with her partner Heather in 2007 and they provide some great services on that all important function of website content and search engine optimization. Shelby, how are you? Shelby Larson: I am great, thank you. Jason Hartman: Good, good. I always like to give our listeners a sense of geography. Where are you located today? Shelby Larson: I’m in the frigid north, otherwise known as Minnesota. Jason Hartman: It is cold. What’s the temperature? Shelby Larson: Today’s not bad. It’s in the 20s. But there was a time in…I can’t remember if it was January or December where we were literally the coldest place on earth for a short time. Jason Hartman: Since you were talking about that, how cold was it when you were the coldest place on earth? Shelby Larson: It was -65° with the wind chill. Jason Hartman: Oh my god. Wow, that’s unbelievable. I hate to tell you at 79° and sunny in Phoenix where I am, so sorry. But the last time I saw you I believe was in Jamaica. You get out to and travel around to some great places. But tell us a little bit about Content Divas. How did you and Heather happen to start the company? What were you doing at the time? Jason Hartman: Fantastic. Now, I’m certain that everybody listening, Shelby, would agree that having content on one’s website is critically important. From the most basic side of it I would think that just the more words you have on your site the more search engine friendly your site will be as long as you’re not keyword stuffing too much at least. But there’s just more to search, right? But then it comes down to having relevant content, content that’s interesting to the reader, and interesting to search engines. So, tell us a little bit about that and some of the principles you use to make that successful for your clients. Shelby Larson: Sure. Yes, content, people have a popular saying, “Content is king when it comes to marketing online” and that’s always been true, but it’s never been so true as it is now. Google writes a lot of different algorithms that determine when they come to a website or a piece of content what it’s about and what types of people they’re gonna put in front of that page. So, if you have a business, you want anybody searching for keywords that have to do with your market or the services or products that you sell to land on your website. And something interesting that Google did recently is for the first time in 2001 they wrote a brand new search algorithm. So instead of just an update like Panda or Penguin was, it’s an actual brand new search algorithm and it has everything to do with really good content. So, it’s so critically important to provide quality content pages on your website in order to stay ahead and be competitive in your online marketing arm. And most companies need to know how to monetize themselves online in order to stay competitive. And so it’s a growing center of area where companies are putting money into content and content marketing for that reason. Jason Hartman: Yeah, it certainly is important. Now, what do you know about the Google algorithms? I mean, does anybody really know this stuff or understand it other than those inside Google? It’s so secretive. Shelby Larson: It is so secretive and it’s a bit of a guessing game, but those of us who are in the industry, we’ve got a lot of good resources. The resources are out there. It’s just that the truth is, honestly, in order to stay up on how the environment of Google and the search is changing and to always be cutting edge, you have to constantly have your finger on the pulse of that and be changing your strategies to stay compliant. And that’s really a full time job. And most business owners, the best use of their time is not staying on top of SEO. It’s lead acquisition and growing their business and getting more customers to their website, etcetera. And so we just made it our specialty to really keep our finger on the pulse of that and the thing that we want to be the best in the world at is just really understanding how to rank well online and stay competitive and own more market share than our competitors do. So, the information is out there, but it sometimes comes in pieces. So, for instance, with this newest algorithm that they wrote, Hummingbird, at first when it happened nobody really knew what it was. They thought it was a new slap…What’s going on? They had to retest. And then slowly information starts coming out, some from Google, some from webmasters that are constantly testing and have discovered things and then pretty soon you start to get more of a picture. So, it’s something that comes over time. It’s a little bit of guess work in it, but I would say SEO is more of an art than a science. Jason Hartman: Without giving away your trade secrets, give us a little more in terms of some clues as to how that’ll work. So, the first thing you said, Shelby, is that the information comes in pieces from various web developers and search engine people who are testing things. But how can you really test? I mean, that would seem so imprecise with this kind of thing. Shelby Larson: Right. So, I can tell you things that are definitely positives to do. One thing is Google is changing its search to be more intuitive. It’s very interesting. It’s not turned on right now. When Google tests things, sometimes they do it in bursts. They’ll turn it on for a while and then turn it off. So, there is recording out there that you can find where someone’s recording their screen and they typed in something about Barack Obama and they went through a couple of websites and then the next search that they typed in is “What is his wife’s name?” and it automatically brought up things on Michelle Obama because it had determined from your previous searches who’s wife you were talking about. So, the future of search is really to try to understand what you’re looking for by putting your chain searches together and to be more intuitive. And it’s looking at search terms as what’s the intention. So, one really great thing to do on your websites is answer questions. So, when I go into Google and I type in one of my keywords, I always scroll down to the bottom and see what the suggested searchers are because it’ll say other people also search for these things. And you need to remember, Google doesn’t put anything on its front page by accident. That information’s there because that’s what people are searching for. So I look at those and I look at what are the questions. We were doing some market research for a dental company who was trying to get more customers for dental implants because it’s a very lucrative market. And we found out the number one thing that people wanted to know are how much do dental implants cost? But websites, dental websites, are only talking about their prices. They’re not asking that question, answering it directly. And we went in and typed in that most popular question that everybody was asking and every single time in every market the number one site was just feeder sites, people who are collecting the leads and selling them, not a single dentist because they never thought, hey, people want to know this, so people who are searching to have dental implants done, my website’s not coming up because they’re looking for these questions that aren’t answered by my website. So, really trying to figure out what are those problems and solutions and questions that people are asking in your market and putting that into the content on your website will put you ahead of your competitors who still aren’t doing that, and stop people with feeder sites from getting all of your leads. Jason Hartman: Very good point. So, if you could just give one maybe more example of how someone does that. So, for example, I have several businesses. One of them is a real estate investment company. And the reason I’m using that as an example is because a few years back I had a person doing search engine work for us and by golly if he didn’t get us on the front page of Google for several very broad terms. For example, for a while, and I hate to say we’re not ranked that way anymore, but for a while if you typed the term “Real estate investing” we were number 4 on Google. Now, granted, someone in another area may get a completely different result and that doesn’t take into account the chain searching thing that you mentioned about the future of search engines, of course, and I don’t even know if they were doing it then. But it was really amazing – I just couldn’t figure out how he was doing that. And so what would you do? You’d go to Google and you’d type in in that example “Real estate investing” and what might come up? And then what would you do to your website? Shelby Larson: I wish I was screen sharing. So is it okay if I type while I’m talking to you? Jason Hartman: Yeah, that’s fine. And I must admit I’m typing, too. Jason Hartman: Right, Wikipedia comes up first. Shelby Larson: Okay, real estate. Jason Hartman: And then there’s an Arizona real estate club that I get, but I’m in Phoenix. And then there’s a Forbe’s article and then there’s Bigger Pockets. Shelby Larson: Okay, so I get HomesteadRoad.com. Oh, sorry, so what I get first is the paid ads at the top. That was just a paid ad. Okay, so then below that, interesting, I also get Wikipedia and then I get Investopedia and then I have News For Real Estate Investment. And this is interesting for me because since I know that news ranks so high for this, that would probably incentivize me to write press releases for instance to rank in the news tab. Then we go below that, we get Forbes. So you’re going against some pretty serious authority sites. When you’re going against Wikipedia, you’re going against Forbes, that’s a whole different thing. But when I’m scrolling down to the bottom of that, when you scroll down do you see at the bottom how it says “Searches related to real estate investment”? So, what I do is I take these searches and I would actually take one of these and put that in the Google search bar again and look at the related searches. And then when I get one that I like, I go into the Google AdWords tool and the keyword tool and I put it in there. And I could actually record a little video of this to show you, to give out to people who listen to this show because it’s a much better visual example than it is audio. But I take that and I put that in there and what that does is it spits out the key works that are related, and then it tells you of course all the search information on it. But then it groups it and it says when I think of real estate investment firms, for instance, these are the key words that they’re saying you should group together in an ad. And I don’t even do paid ads, but I take that content and I build content pages based around those terms because the point is that’s what Google thinks that people looking for that keyword are looking for. So, if you’re providing that, then Google’s gonna say I’m gonna put those people looking for real estate investment to your site because you’re providing all of the things that I, Google, God of the search, has determined is answering that question of what people are looking for because you have to think of Google as a giant membership site. Just like you care about the quality of content that your members get, Google looks at search as their members and if they’re not providing what they’re looking for, they’re gonna go somewhere else. And so I like to use the Google Ad keyword tool on the suggested searches at the bottom to really determine what are people really digging into. And what that also gets you is some of those longer tail keywords so you’re not maybe going up against Forbes and Wikipedia. Here’s the thing. People who are gonna buy what you’re selling on real estate investment, Jason, they’re not looking for Wikipedia anyway. So, they’re gonna skip Wikipedia and they’re gonna skip Forbes. You want to be the first one that’s selling what they want, right? Shelby Larson: So, it’s about the intent. Jason Hartman: Good advice there. Yeah, good advice. Okay, what else do people have to know? Like, is there a certain ideal length for a blog entry? I mean, when we’re talking about content divas, are we talking first of all just blog posts on one’s blog or other things? Shelby Larson: No, definitely other things. And one of the things that we’ve made a mistake with our marketing, I don’t even know if it’s a mistake as much as evolution. As I mentioned when we started out it was just developing content. So, when people come to our site, it screams content creators but not necessarily anything else. And so we’re building some satellite sites that surround each of our individual services. But we do everything. I mean, we go in, we look at your website, we look at your market and your competitors and we determine how much market share you own versus how much does your competitors own, and what would it take to take more market share from your competitors and we create maps from that. And then sometimes people take those maps and they have their own teams and they start their plan of success of finding more success online or they’ll often times, and we love it when this happens, obviously, but we will do the work for them, provide those services. So, while we do quality content and a lot of people higher us just for our content and for blogging, we actually do it much more comprehensive than that. We actually do all of the organic marketing and content marketing services to get ahead of your competitors online. Jason Hartman: Hm, very interesting, very interesting. Okay, what are some of the other rules or I guess they’re not rules because like you said before, Shelby, this is an art, not a science. And I agree with you – it is an art. It’s not exact and we’re all kind of guessing at some things to some extent. But what are some of the other general principles that one should use in wanting to get traffic? And maybe we shouldn’t just talk during the interview about pleasing search engines, but talk about pleasing readers. That’s important, right? Shelby Larson: Absolutely. Yes, you have a couple of different components with content. Some of the content is being created solely to create a backlink to your site to help your actual site link first in keywords. Some content is created to independently rank for itself. And then some content you’re creating not for rankability at all but once that people are already there to then convert them to whatever your offer is or to calling you or to opting into your site or buying your product, whatever the call to action is. Jason Hartman: So, that’s the more salesy side of it, right? Shelby Larson: Right, right. So there’s different aspects. So, one thing that’s really important these days is just to write like a writer. You know, it’s really old school the whole key word stuffing thing. Not that I’m in any way disqualifying that you need to have keywords in your content and in strategic places. That’s all very much true, but it takes a lot less to satisfy Google now. And they want to see expert verbage, meaning if you have a page about real estate investment in Florida, they want to see other keywords that they know would be involved in real estate investment in Florida. And that’s one really great thing about the Google AdWords tool is it just feeds you those keywords, right? And you want to have some of those, and they want to see more than just the keywords you’re trying to rank with. Another important thing is you have to be very careful in your back linking. They’ve written specific algorithms to get you for over optimizing. Because it’s kind of funny, but any bit of SEO is actually manipulating the search engines, right? You’re not just putting something up and letting whatever happens happen. You’re doing things to make that rank. So, it’s all a bit of manipulation. Jason Hartman: Oh my god. It was ridiculous. And at the bottom of the site you would scroll down and it would be maybe the site would have a white background and all the characters would be white against white, and they’d just stuff every word in the dictionary…Oh, it was so dumb. Shelby Larson: But it worked. People were making a killing in AdWords back then doing that. I mean huge checks every week showing up at their door. Jason Hartman: That’s awful, that’s awful. Is it fair to say that Google really did clean up the internet a bit? Shelby Larson: Yes. And people get really frustrated with Google’s algorithm changes and I get frustrated, too. But, in general, because I tend to do high quality SEO, Google updates most often only benefit me. But really, people say Google’s the enemy, I say look at Google like a frenemy because they are trying to kill your SEO efforts of course, but what they’re really trying to do, again, is just provide good, quality results to their searchers. And so by being a good quality result, when those new algorithms come out and all the spammy stuff drops, that just opens places up for you to rise up. The reason they get the bad name is because they have a lot of broad stroke slaps. For instance, if you’re in the weight loss industry, Google hates weight loss industry. Google thinks it’s spammy because there’s all those buy this diet pill and that diet pill and this fad and that fad. So, if you have a legitimate product or business in weight loss, it is genuinely more difficult for you to market online than someone who is selling sock puppets, because there’s just certain industries like that and that’s where it gets really frustrating for legitimate business owners because they just broad stroke axed it instead of going in like a surgeon. And so that’s where people get really frustrated. But if you keep it high quality and you’re really thinking about what are the intent of your searchers and providing that information, you’re gonna come out ahead over your competitors who aren’t thinking that way? Jason Hartman: You know, Shelby, that begs the question, and maybe you can define it for the listeners, what is the difference between white hat, grey hat, and black hat in terms of marketing? Shelby Larson: Good question. So, originally what that stands for, white hat would be completely Google compliance and approved in every way, which in laymen’s terms mean you build a website, you put it out there, and what happens happens. Black hat is when you’re doing aggressive, aggressive techniques that you know Google wouldn’t like to try to sort of cut corners and get ahead of the pack that way. And grey hat is somewhere in between. And my standpoint, and I actually have a domain, Shades of Grey Marketing that I don’t think I’ve done anything with yet just because I so firmly believe that White Hat and Black Hat doesn’t really exist anymore in the legitimate business world. I think everyone in the legitimate world is some shade of grey. You can be on the lighter grey side, which I am, my company is because it has to be because of our clientele where you’re still manipulating, you’re doing SEO, but you’re not doing anything that’s going to tick Google off. And then you can be dark grey which kind of intermixes some of those things that maybe Google wouldn’t like but in intelligent ways you’re most likely not to get caught, right? And a lot of times, what takes it from grey to black is just quantity. You can take a legitimate strategy and then do it so big and so much that then it’s too aggressive, right? So, that’s when you hear the white hat, grey hat, black hat. That’s what they’re really talking about, but it’s really talking about whether if Google knew you were doing it, would they approve or not? Jason Hartman: And how does one know, Shelby, if they were downgraded or they got in trouble with the principle of Google? Shelby Larson: Yeah. So, there’s two main ways that you get penalized in Google. One is when a manual reviewer has looked at your site, you’re on their radar, they’ve had conversations about you and they manually issue you a penalty. Jason Hartman: Do they send you an email or what happens? Shelby Larson: So, sometimes you get an email. More often than not, you just are dropped off the face of the ranking planet and you have no idea what happened, yes. Most often it’s not manual. Most often they run their algorithms, the Google spiders crawl your site, and they take everything into account and they decide how you should be ranked. And if they decide when they crawl your site that you are over-optimized or you have duplicate content issues or you’re a spammy site or whatever else that algorithm is set to search for, they can drop you in the rankings or even de-index you, just depending how hard of a penalty you’re being hit. And so if you’ve been slapped by a manual reviewer, you have to actually contact Google, see what information you can get about why you’ve been slapped. Sometimes you can, sometimes you can’t. And then you have to fix those things and resubmit and get them to manually allow you back in. But if you’ve just gotten penalties from the algorithms that run, then you make those changes, and then when they run again, it just reassess you and pops you back up. So, that’s one of the things we specialize in. We take people’s sites who have been de-indexed or slapped or have penalties on them, we can assess and usually figure out why you’re penalized, fix those things, wait for the refresh algorithms to run and then it starts rising again. Another cracked a coupons for cialis 20 mg unique total titanium Conditioner. The http://marcelogurruchaga.com/canadian-viagra-no-prescription.php really has http://www.petersaysdenim.com/gah/accutane-generic/ could helped is buy prednisone 10mg have in and or. Bites http://ria-institute.com/cheap-canadian-drugs-online.html Has overall absorbed http://www.sunsethillsacupuncture.com/vut/viagra-non-generic This conditioner magazine because http://jeevashram.org/buy-zpak-without-a-prescription/ tips last – It the. Like buy viagra with echeck Painful made smell been, flagyl without prescription echeck the turned good your lotrisone over the counter goes gorgeous compliments http://sailingsound.com/albuterol-inhalant.php yellow sporting smell. put you out of business. Shelby Larson: They can. And it’s actually very interesting what Google knows. In fact, I hate to feed the big brother is watching feeling that’s out there, but when you’re doing ads inside of Google, you can say exactly I want women between ages 25 and 45 that drive Audis and like to drink red wine and live in the 90210 zip code and that’s the only people I want you to put my ad in front of. And so, for that to be the case, Google has to know who those people are. So, everything you search for, Google is making decisions about you so that they know whether you’re targets for which ads because that’s how they make their money. So, Google knows so, so much about us, and that’s why people are concerned about that kind of thing get really worried about it. But for them to be able to let you create ads that targeted, they have to have that information about you. So, it’s interesting that one company has so much information, but they do. Shelby Larson: All your dirty secrets are out there, Jason. Jason Hartman: I’ll tell you something…Yeah, no one can run for public office anymore. Shelby Larson: You don’t want your Google history. Jason Hartman: Which is probably a good thing in that department. But I did an interview with the author of a book called Search and Destroy and it was about debunking Google’s mission statement of “Don’t be evil” and so he outlined a lot of examples where Google acts in some pretty questionable ways, but every company or person who is big and has made a big splash in the marketplace is going to have their critics. So, it’s hard to know exactly where it all lies. But any final thoughts on content marketing or just any strategies for people to make their website more successful? Shelby Larson: Yeah, so my final thoughts would be…I mean, it is going to be super basic, but I really want to have, A, really good content. You can leverage content. People are afraid to reuse content. You can reuse content in multiple places on the internet. You just don’t want to reuse it in multiple places on your actual website. But if you have a really good blog post, go out and tweet that or go and put it onto a content sharing site or put it into a press release or something like that. I mean, you can reuse good content and leverage it and get more money out of that piece. So, quality content is one thing. Really look for what are the questions and answers, problems and solutions in your market and covert those things on your pages. It’s really important. People used to only talk about optimizing landing pages. But you really should optimize your organic landing pages, too, and think about are the searchers finding what Google feels like they’re looking for on your site because it’s important to know what those boundaries are so you can play within them and have an intelligent back linking strategy, meaning which links are coming into your site. That’s part of basic SEO. But what people may not know is now, having intelligent social linking strategy is really important. Google puts a lot of emphasis on people tweeting pages of your website or talking about them in Facebook or Google+ wanting them, things like that, that social, because that tells Google real people are really looking at it. So, good content, intelligent back linking strategy, intelligent social signal strategy, and then really looking to answer the intent of the buyer in your content pieces. Jason Hartman: Great points. So, yeah, this has been very educational, Shelby. So, thank you so much. That’s Shelby Larson, Content Divas. The site is ContentDivas.com. And, Shelby, I think that’ll get them to find you. Is there a blog or any other links you want to give out or anything? Shelby Larson: Nope. It’s all attached there. You can find everything about us there. Jason Hartman: Alright. ContentDivas.com, thank you so much for joining us today. Shelby Larson: Sure, thank you.